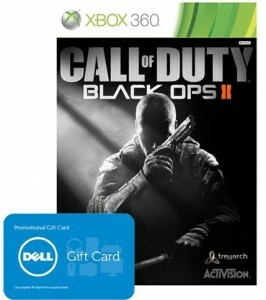 Dell Home has Call of Duty Black Ops II for Xbox 360 with a $20 Dell Gift Card for $59.99 with Free Shipping. Think of it as a $20 gift card for around $7...plus a cool game you know you want! Shop clearance and overstock now!